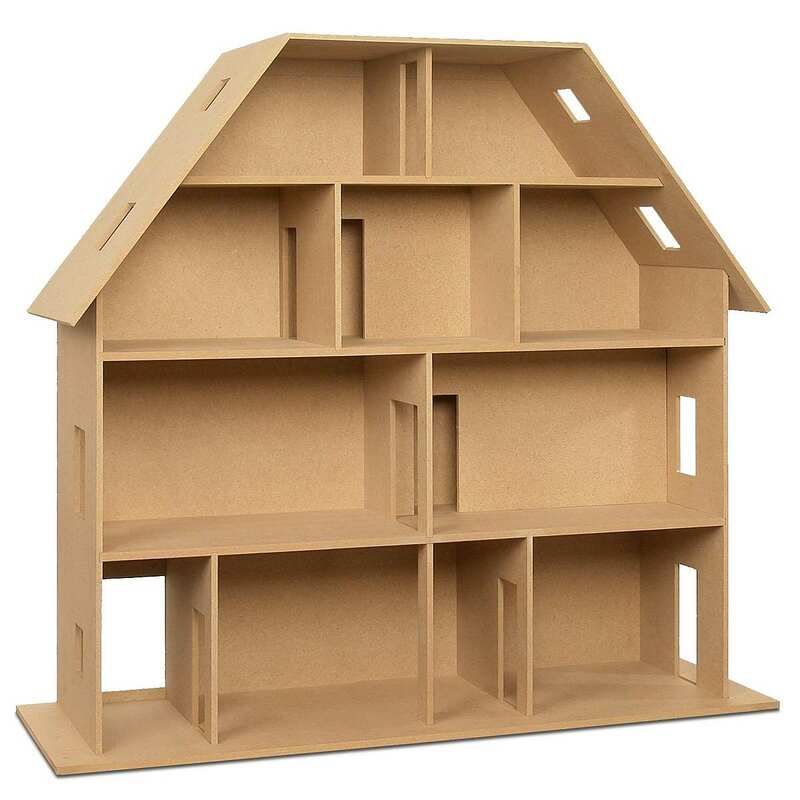 This construction kit includes all of the wood panels for walls, floors and roof surfaces made from MDF Material (Medium Density Fiber panels) for building the "Villa Tara". The panels are already provided with all of the cut-outs for windows, doors and staircase and the grooves for the walls and cable ducts. Therefore, no additional sawing work is required. 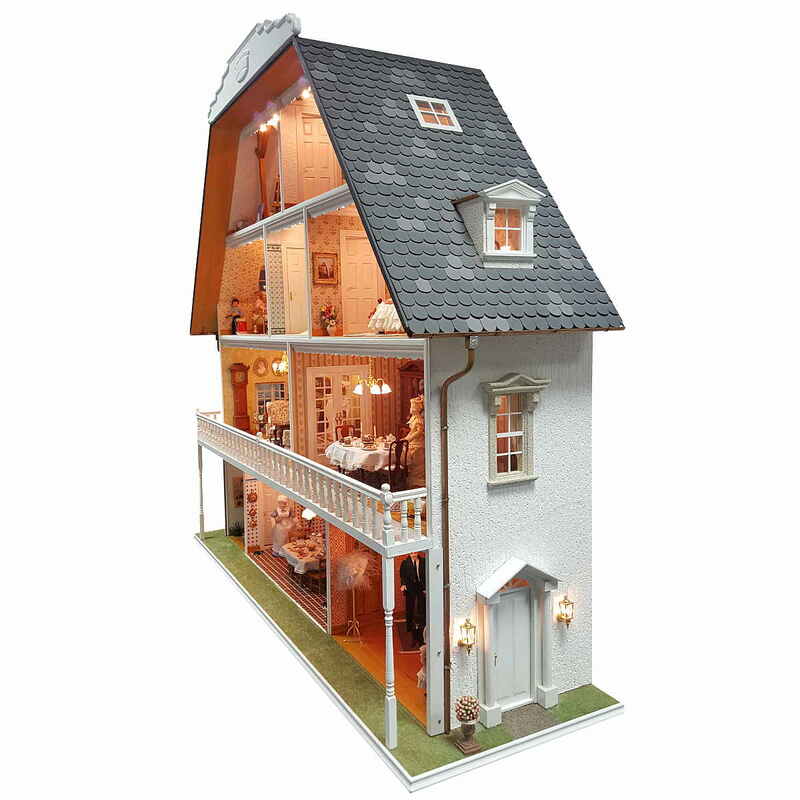 The matching components (7 windows, 10 doors and a staircase) are included in the set of building components (#90220), but they are NOT included in this MDF construction kit. The full-length balcony is part of the Villa Tara's MDF panel kit, which can be attached as an option. 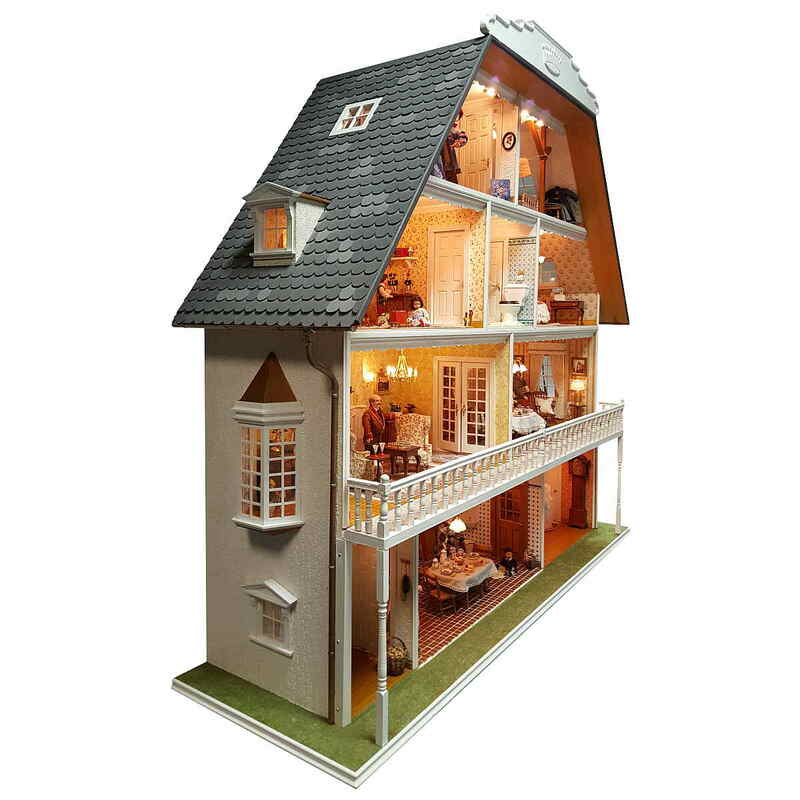 The balcony railing (#70321), the balcony corner pillars (#70300) and the white roof gable with the "Mini Mundus crown" (special design) are not included in the scope of delivery. 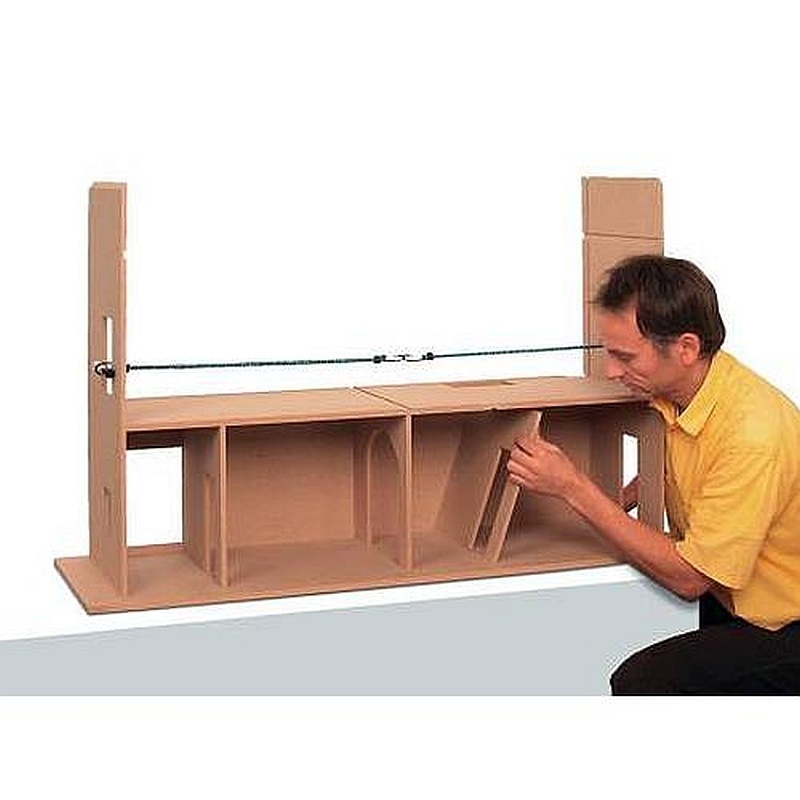 The shipping within Germany and Austria is without bulky surcharge. For all other European countries, we charge a bulky goods surcharge in the amount of € 15,00 incl. VAT. 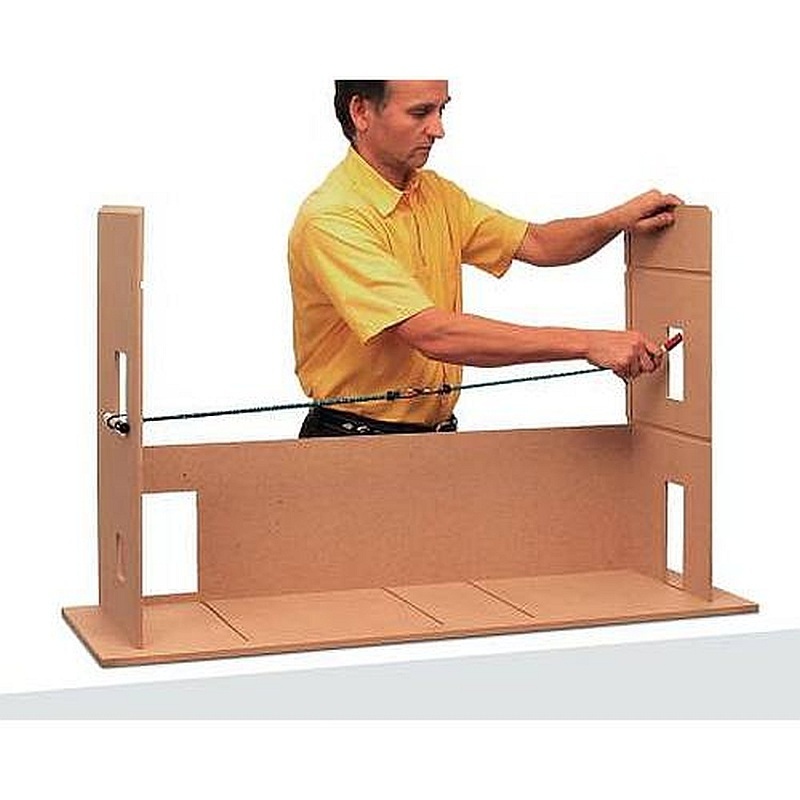 Due to the size and weight of the MDF construction kit we sell the kit only within Europe. The full-length balcony is part of the Villa Tara's MDF panel kit, which can be attached as an option. The balcony railing (2 x 70320 or in white 70321), the railing end posts (1 x 70210 or in white 70215), the balcony corner pillars (#70300) and the white roof gable with the "Mini Mundus crown" (special design) are not included in the scope of delivery. 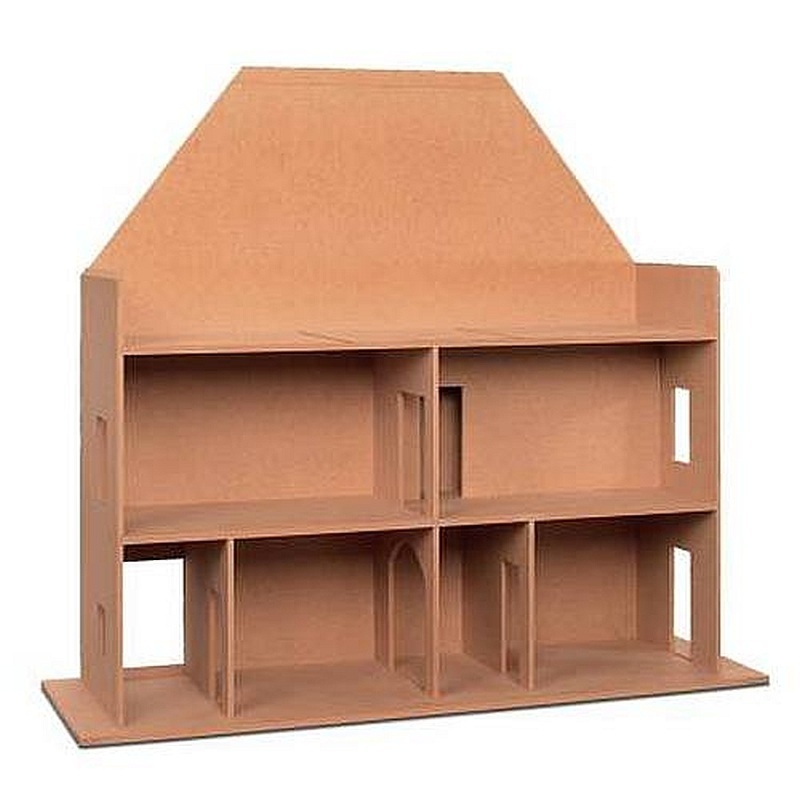 The fitting MDF-wood panel kit for the "Villa Tara" is available HERE under the item no. 90250. *) The stated RRP corresponds to the sum of the individual prices of the windows, doors and the staircase contained in the component set. 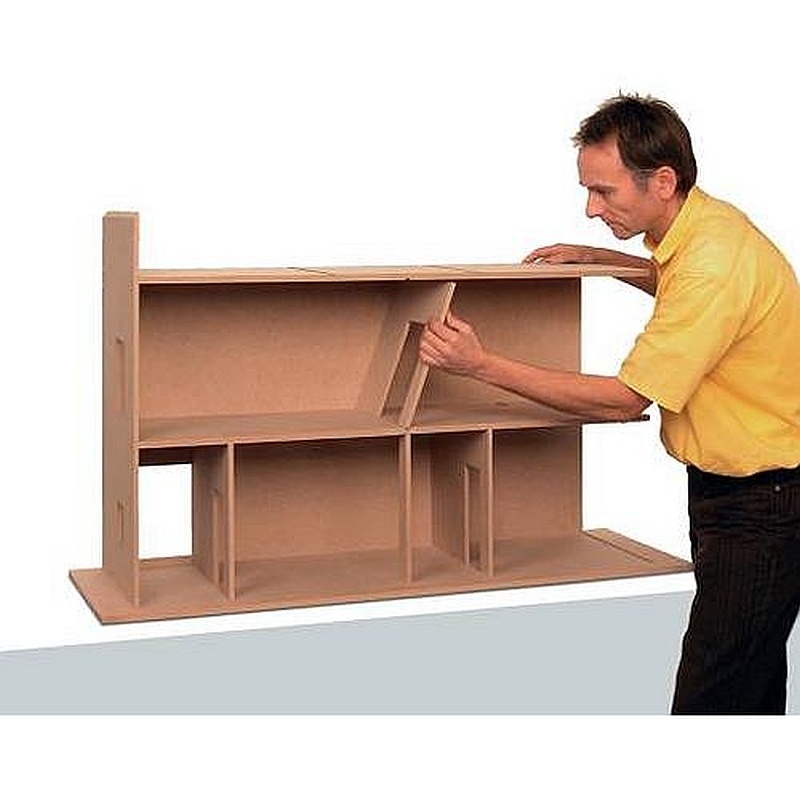 The furnishing examples are also perfect for any other house and the Modul-Box. In our "Mini-Catalogue" we present 14 rooms and their extensive furnishings on twelve colour pages. All rooms were lovingly furnished with an eye for detail by our modeling team and staged with the most beautiful MiniLux lamps. Full screen: Click in the middle of the catalogue. Browse through: "<" Page back or to the next page ">"
Click on the item numbers => Straight to the product! Zoom: Click on "+" or "-" at the bottom right. Click on Exit "[ ]" at the bottom right. Shipping costs: € 2,60 postage for the shipping of one catalogue, one brochure or one construction manual within Germany; if there are further items in the shopping cart, please select the shipping option "Shipping costs Germany" at the checkout. From a purchase value of € 50 we ship within Germany free of shipping costs. The pictures are showing exemplary furnishings and accessories. 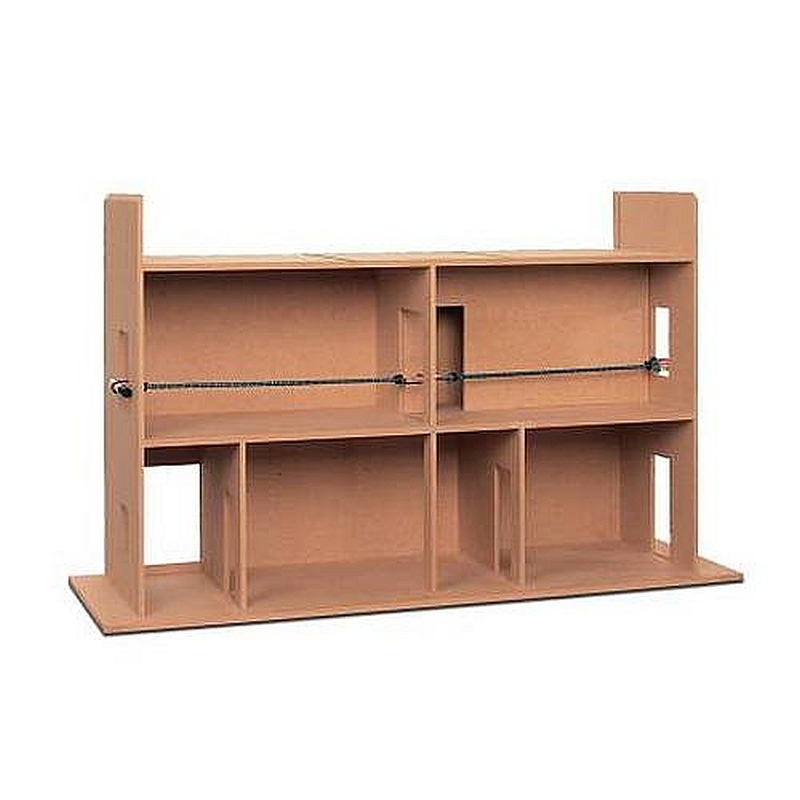 This construction kit includes the wood panels for walls, floors and roof surfaces made from MDF Material (Medium Density Fiber panels) for building the "Villa Tara". The panels are already provided with all of the cut-outs for windows, doors and staircase and with grooves for the walls and cable ducts. Therefore, no additional sawing work is required. 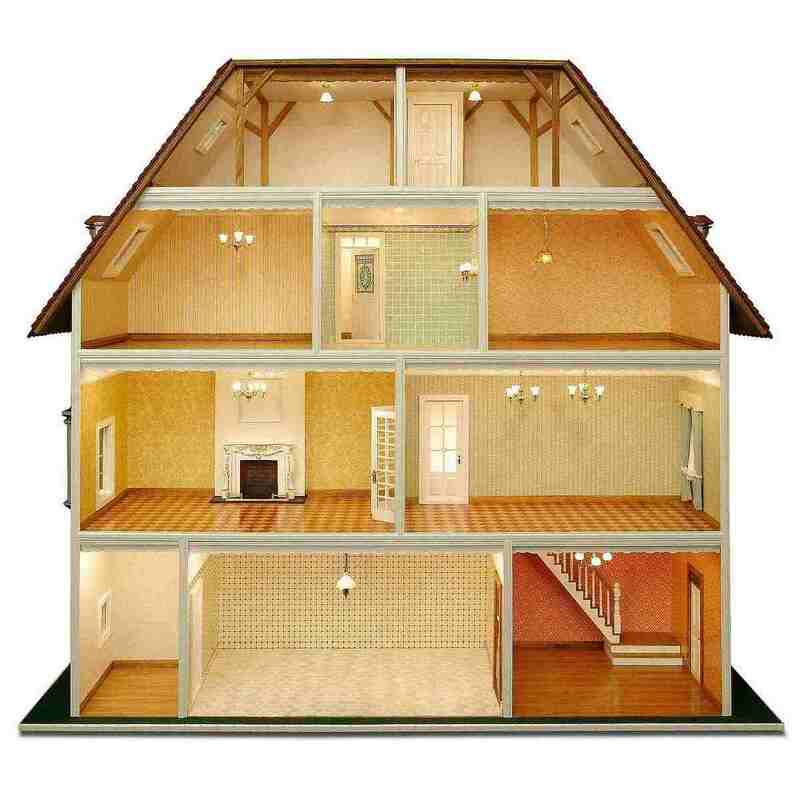 The MDF construction kit does not include the shown building elements (90220) and lamps nor the wallpapers. The panels only need to be glued into the grooves provided and no nailing or screwing is required. 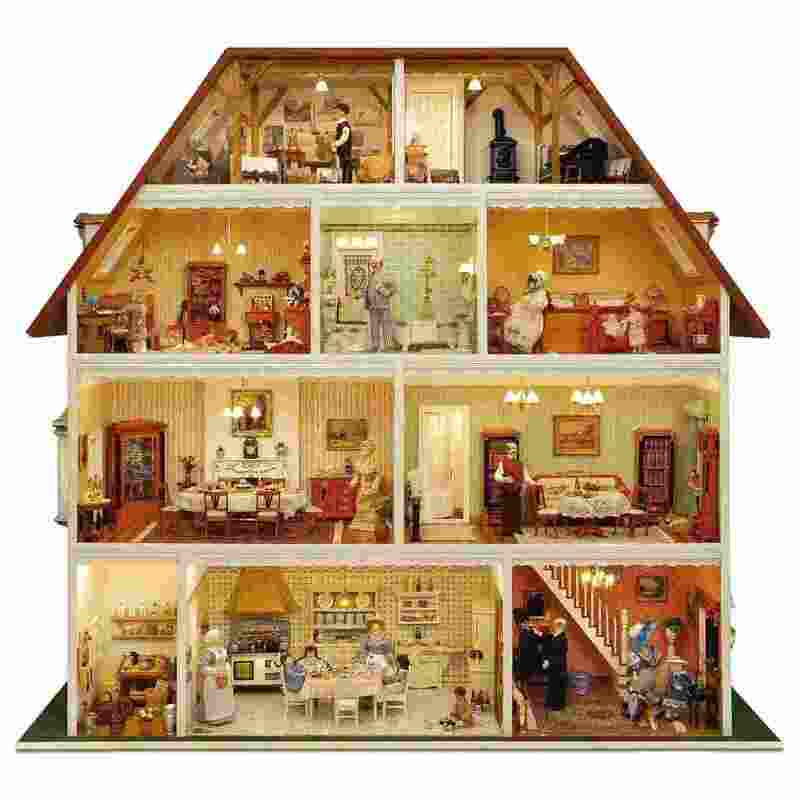 Assembling the "Villa Tara" with the extensively illustrated instructions is child's play. Roof shingles or roof tiles? And if yes, how many? The roof can optionally be laid with the easily mounted roof shingles (70050 and 70055) or with roof tiles (70040 and 70045), which are not included in the building element set, whereby the cutting of the tiles is somewhat more complicated. A sharp-edged side cutter or our precision saw (44100) is recommended for this. we additionally recommend the narrow roof shingles (70020), of which you will need 25 pieces for each dormer, or the usage of 20 roof tiles (70040/45) per dormer for the roof dormers shown in the picture. 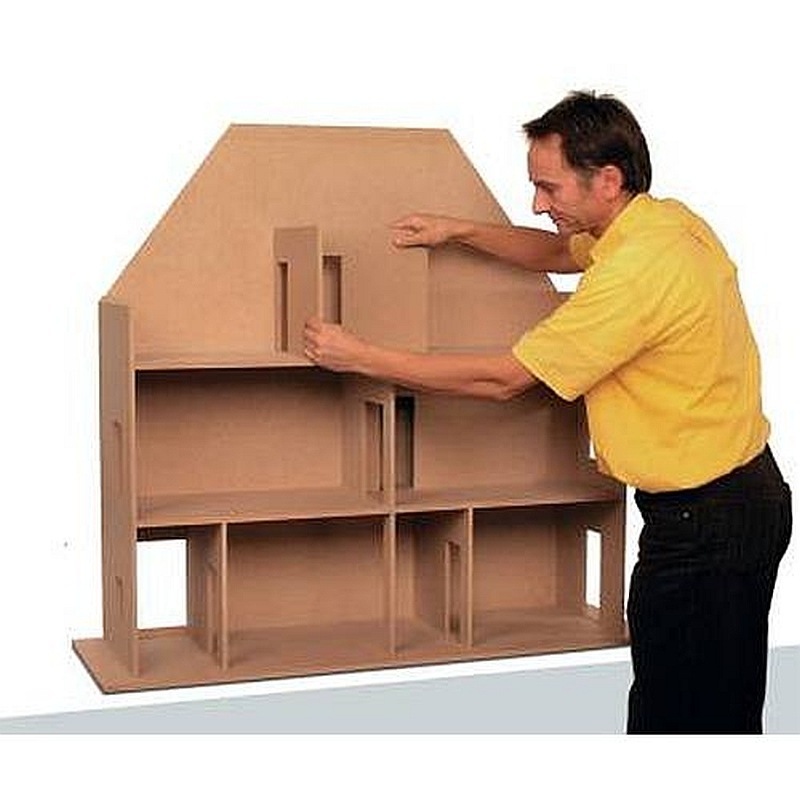 You can optionally cover the roof and roof dormers with "roof cardboard" (= rough sandpaper). 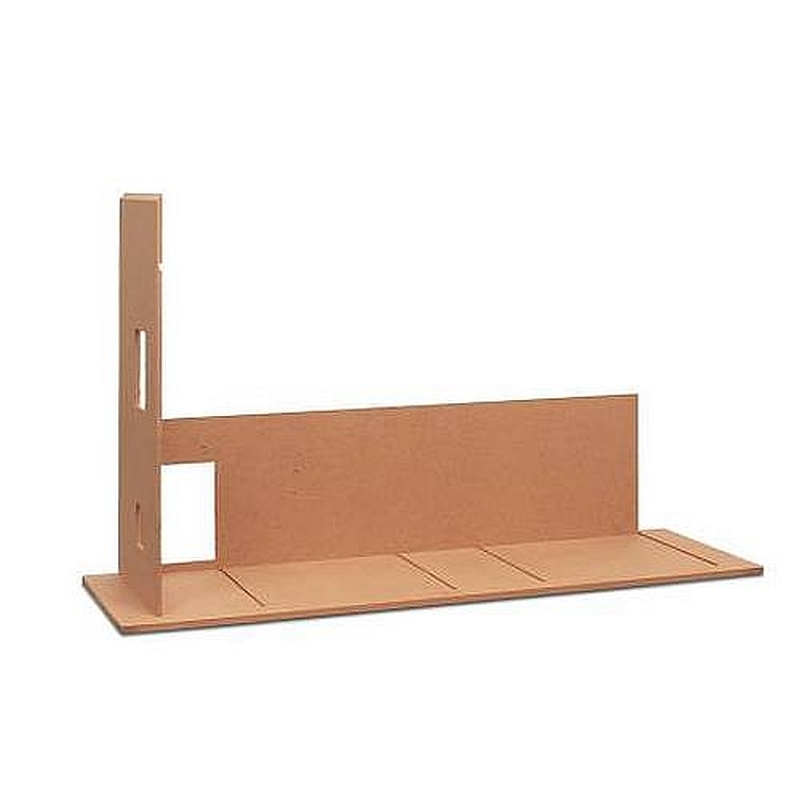 The strip #70591, which can be additionally orderedin the 10-piece package under Item No. #70590, is required for paneling (covering) the visible front edges of the MDF panels. 3 strips #70591 are additionally required for the front edges on the roof.